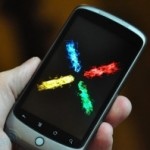 Nexus One is still alive and pretty much kicking, especially thanks to the community. Since Google won't push new features to it, the community has to. First Cyanogen added support for 802.11n WiFi in CyanogenMod, and now about half an hour ago, an xda-developers forum member by the name of charnsingh_online announced that he made a patch for CyanogenMod which enabled 720p video recording in the Nexus One. The only requirement - CyanogenMod version of at least CM5.0.8test3, which means - yes, you need a rooted N1 running CM and not the stock OS. His solution doesn't yet work in Froyo, but expect support for that to come out shortly. Cyanogen himself expressed interest in rolling this patch into his next release, so you won't have to keep patching for too long. charnsingh_online says that future updates will bring better fps and audio quality. Update #2: Same sample but in original 3gp format for closer inspection (requires an xda-developers account, download, then rename to .3gp).